That’s absurd, of course, but it’s surprisingly close to the way we teach children mathematics. In elementary and middle school and even into high school, we hide math’s great masterpieces from students’ view. The arithmetic, algebraic equations and geometric proofs we do teach are important, but they are to mathematics what whitewashing a fence is to Picasso–so reductive it’s almost a lie. Most of us never get to see the real mathematics because our current math curriculum is more than 1,000 years old. For example, the formula for solutions of quadratic equations was in al-Khwarizmi’s book published in 830, and Euclid laid the foundations of Euclidean geometry around 300 BC. If the same time warp were true in physics or biology, we wouldn’t know about the solar system, the atom and DNA. This creates an extraordinary educational gap for our kids, schools and society. Good article in the Boston Globe today about the need to expand tech education. Small children may have difficulty understanding real space if they spend too much time in digital space. 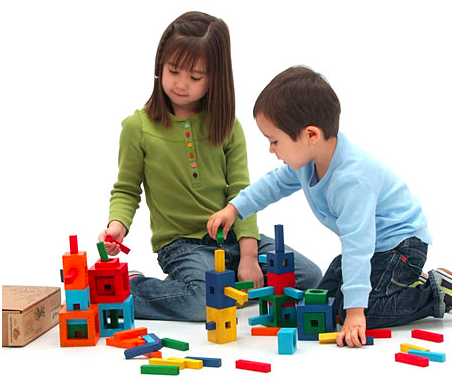 Recent findings show that with too many hours on iPad and digital devices, children have lose the ability to play with building blocks like their parents. Tablettoddlers officially endorses the $2.99 math learning app for iPads and iPhones Eggy Subtract to 20. The educational app includes six interactive games, two difficulty levels for each activity, five ‘Mashies’ characters to unlock and earn, and a choice of an Australian, English or U.S. narrator accent. To celebrate the launch of Eggy Subtract to 20, the company is reducing the price of all its other Reading Egg apps to $1.99 for one week beginning April 9.